The expected in-stock date is Sunday, June 16. 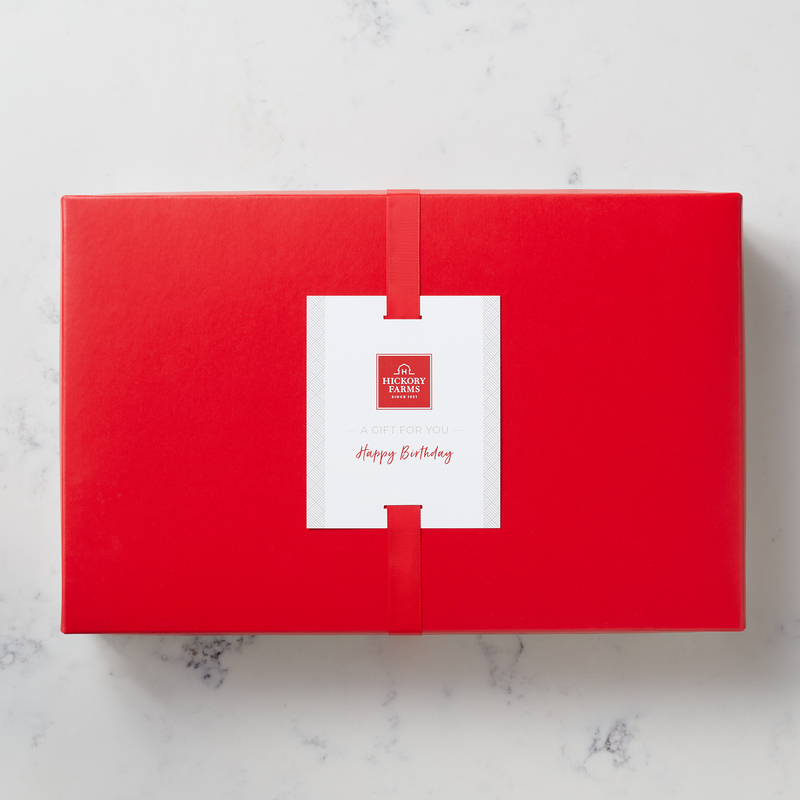 Stack up spicy, smoky, and delicious flavors with this gift box. 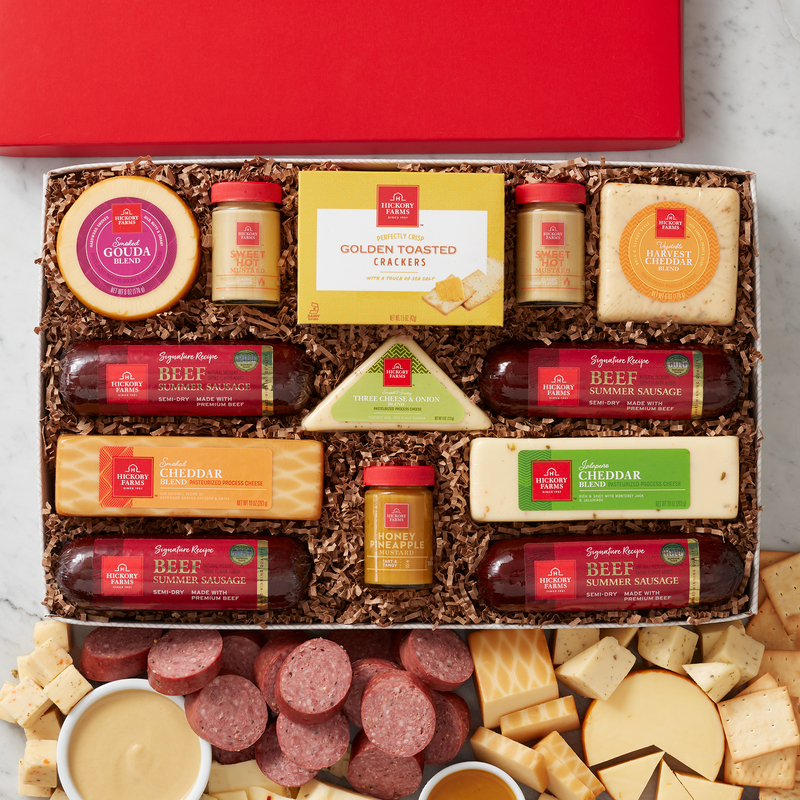 It comes with our Signature Beef Summer Sausage, Smoked Cheddar Blend, Jalapeño Cheddar Blend, Harvest Cheddar Blend, Three Cheese & Onion Blend, Smoked Gouda Blend, Sweet Hot Mustard, Honey Pineapple Mustard, and Golden Toasted Crackers for the perfect bite. Makes a great gift to impress customers, clients, and colleagues. There's plenty to share with the family or bring to a party as part of the snack spread!